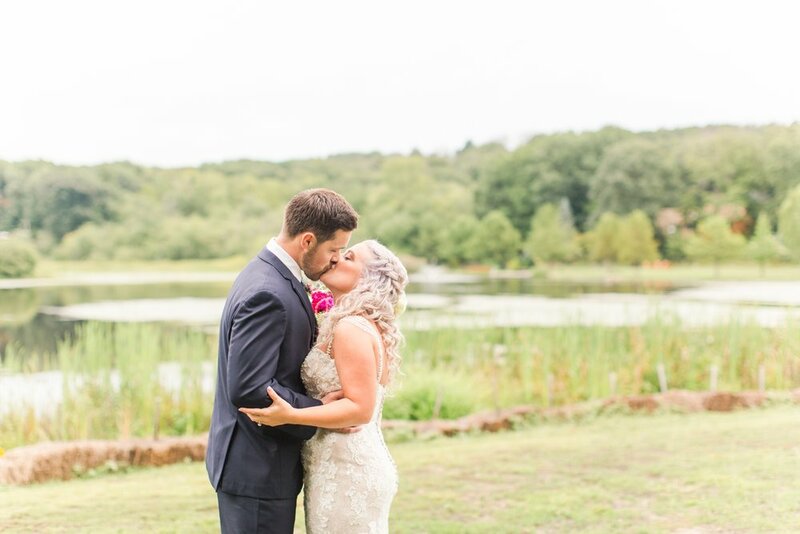 Vicki and Kevin’s wedding at The Lake House in Wolcott, Connecticut was absolutely beautiful! 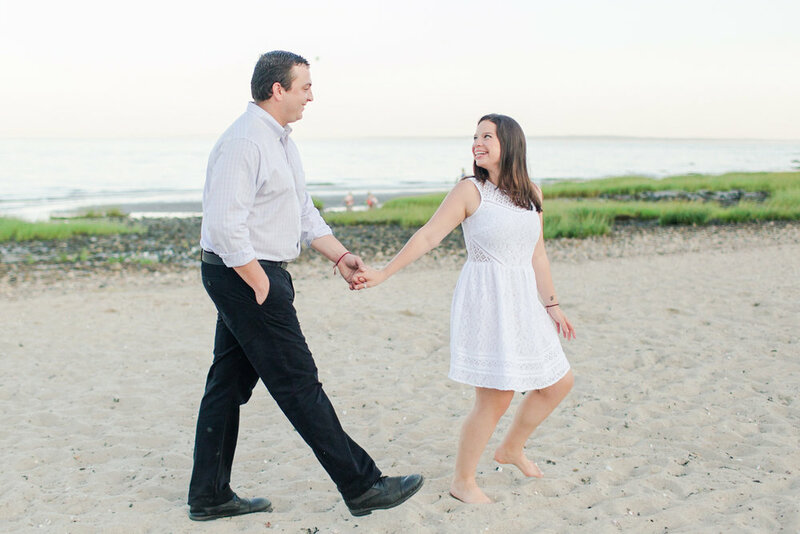 I last photographed these two for their Walnut Beach engagement session in Milford, Connecticut back in late May, and I was so excited to work with them again on their wedding day! They’re a wonderful match, and have two of the most contagious smiles. As I worked on editing their photos for this post, I kept finding myself smiling at all of the joy Kevin and Vicki brought to their wedding! 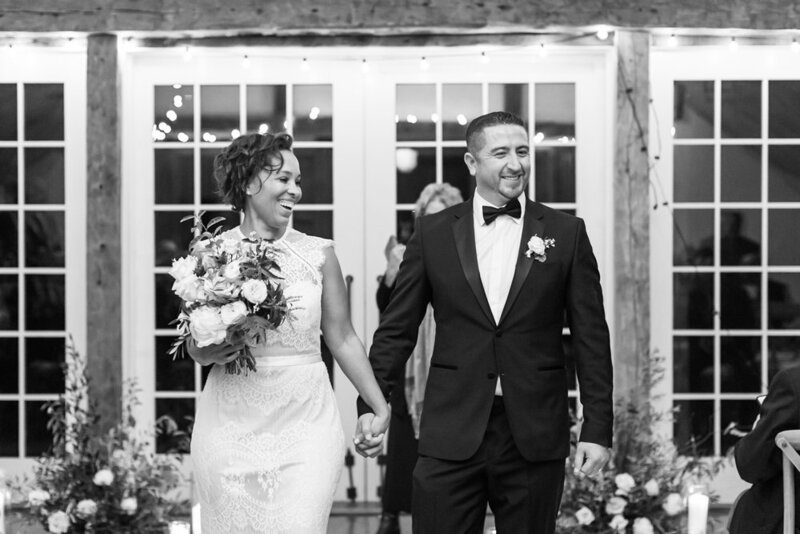 The smiles, laughter and celebration were never ending among the bride, groom, and their guests! 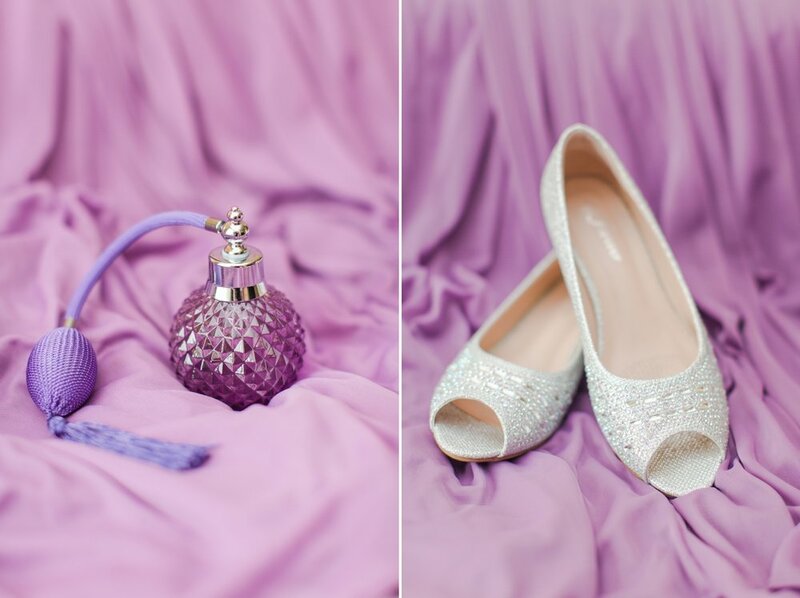 Vicki’s style is a perfect mix of modern and vintage, which definitely showed through in her bridal style! 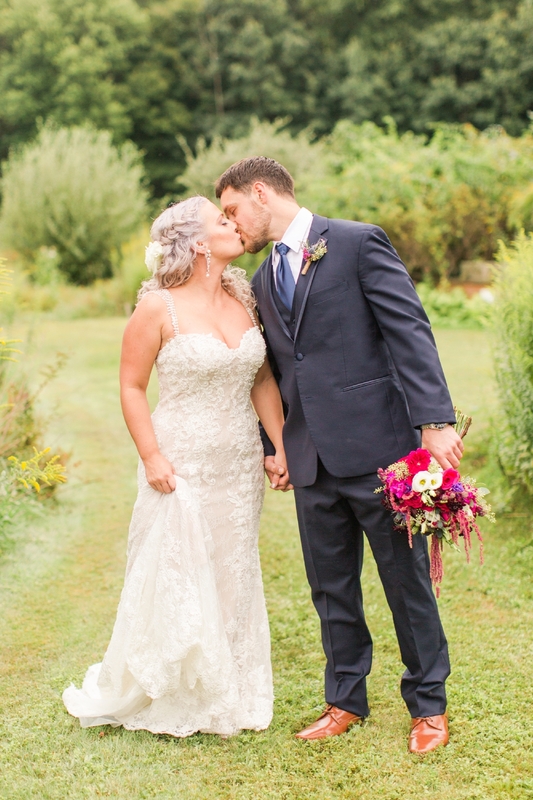 As I photographed Vicki being buttoned into her dress, the soft shade of lavender in her hair flowed so well with the intricate pearls, beading, and lace on her wedding gown. You all know I love a good pastel color palette, but I really do love when our couples create a fun vibe in their decor with bright colors! 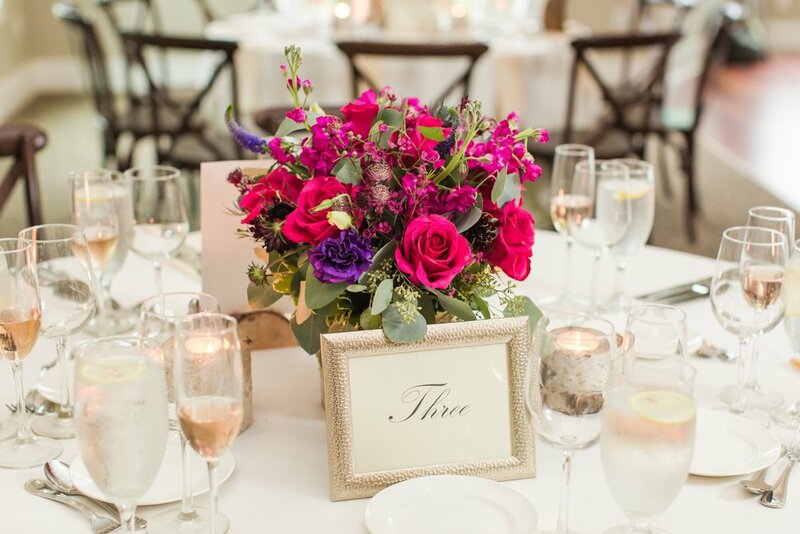 Their wedding florals included pops of magenta, wisteria, light blue, and white. Vicki and Kevin’s wedding day was a prime example of how the colors in your photos can still have so much pop when it’s cloudy and raining! One of my favorite parts of the decor were the hand-carved birch candle votives that the pair made for each of their guest tables! Later in the evening, they were married along the waterfront during one of the most heartfelt ceremonies Arturo and I have photographed all year. 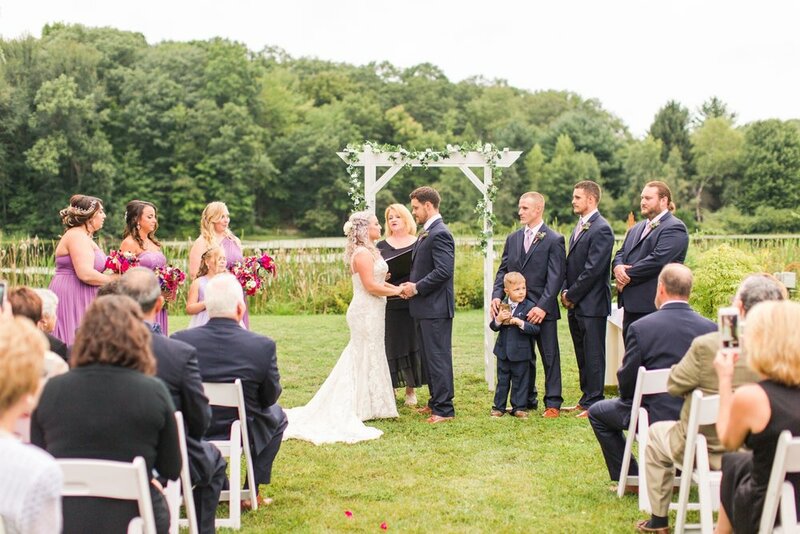 Vicki and Kevin wrote their own vows, fighting back tears as they listened to each other’s beautiful words. 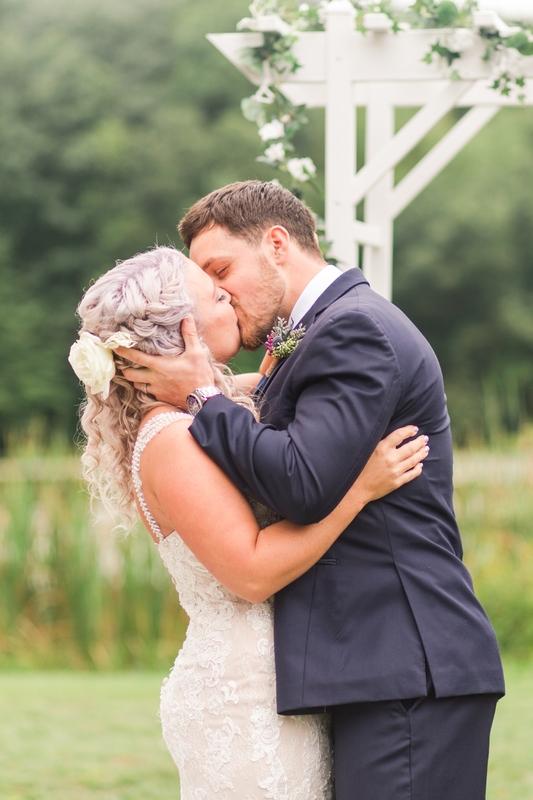 They shared a romantic first kiss before walking down the aisle as husband and wife! 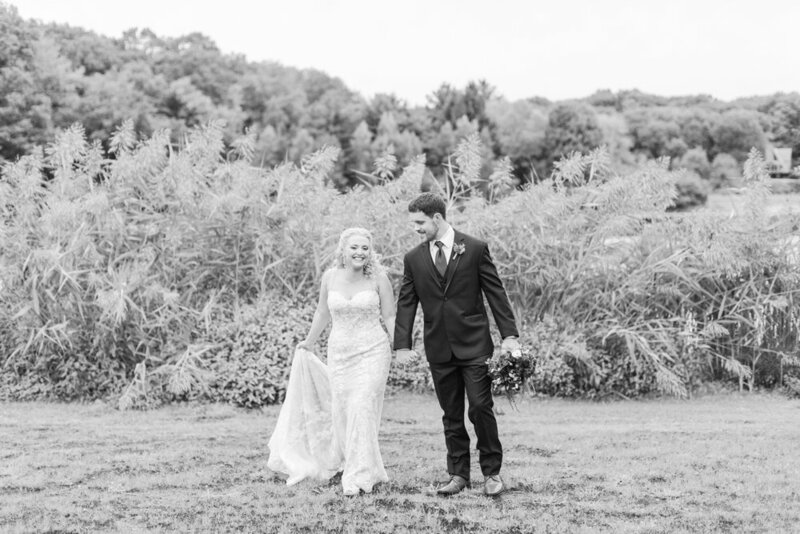 Kevin and Vicki met at a local bar during their hometown's Annual Apple Harvest one year through mutual friends. Though neither of them had any intention of meeting anyone, they both felt an immediate connection. After three or four months and a few random run-ins, Vicki and Kevin finally decided they should meet for a date! Their first date went really well as they chatted over margaritas. Kevin followed that date by calling Vicki on the phone, and they talked for an hour. 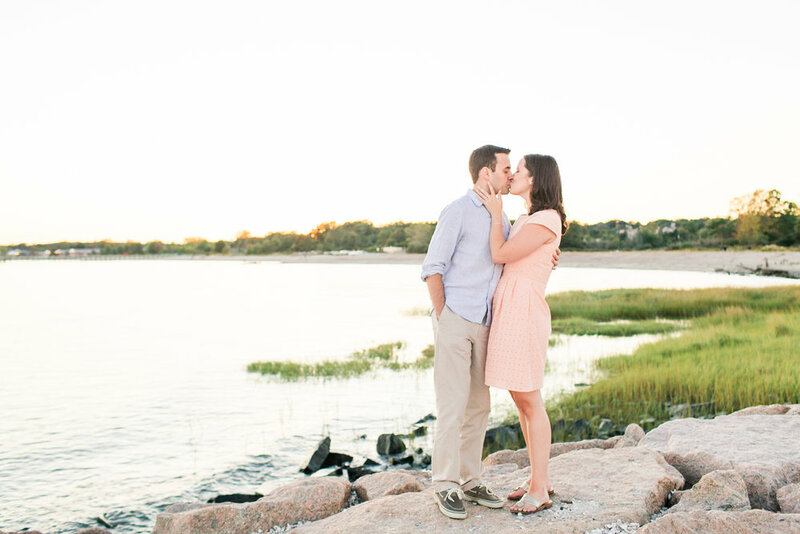 Their call ended with Kevin asking her out on a second date and insisting he pick her up! Vicki knew he was different from any one else she'd met, especially after he opened every door for her and came to pick her up for their date, even during that night’s blizzard! That same evening Kevin accidentally met Vicki parents (who absolutely loved him!) and he even invited them on their date (though to Vicki’s relief, they declined)! The two ended up moving in together, with Vicki’s dog, Sammy, after only ten months and were engaged after three years. 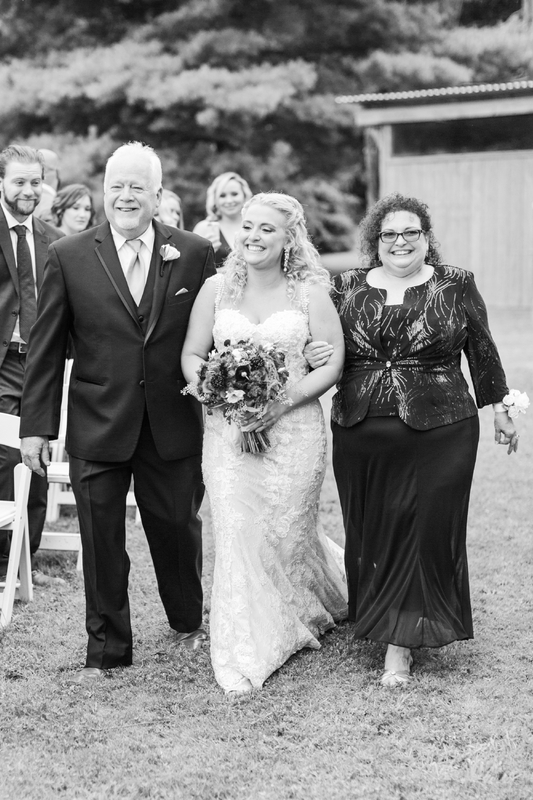 After almost five years, Kevin and Vicki are finally married and are just as crazy about each other from the early days of their relationship! 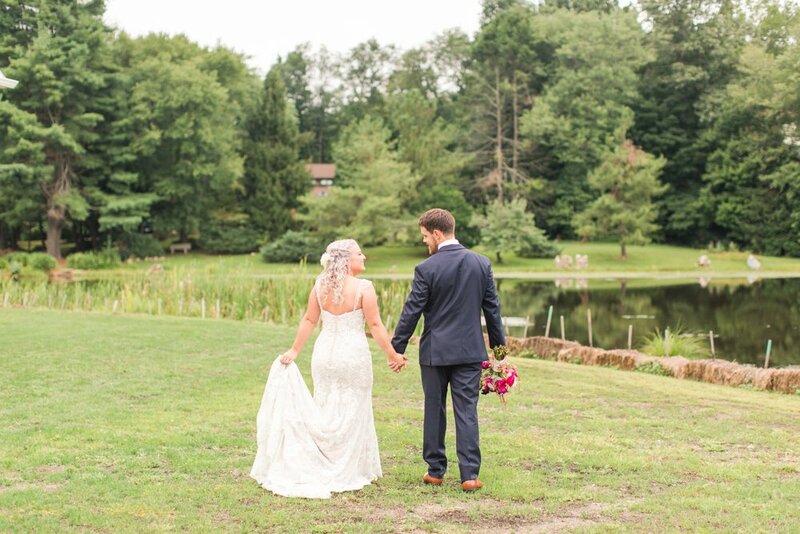 The newlyweds are headed out for a mini-moon to Chicago this week, and are planning their full honeymoon to Hawaii where they’ll spend two weeks in paradise later this year! 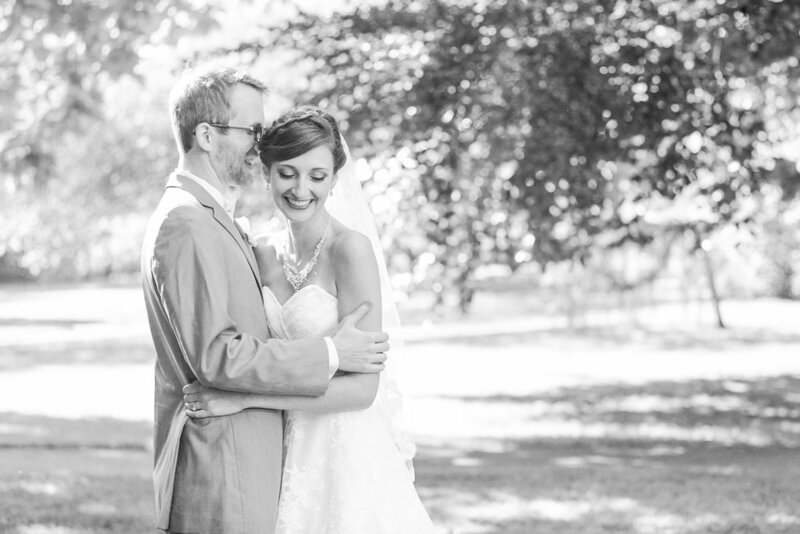 Vicki and Kevin, it was an absolute joy to be part of your day. Cheers to many years ahead filled with endless love and laughter! 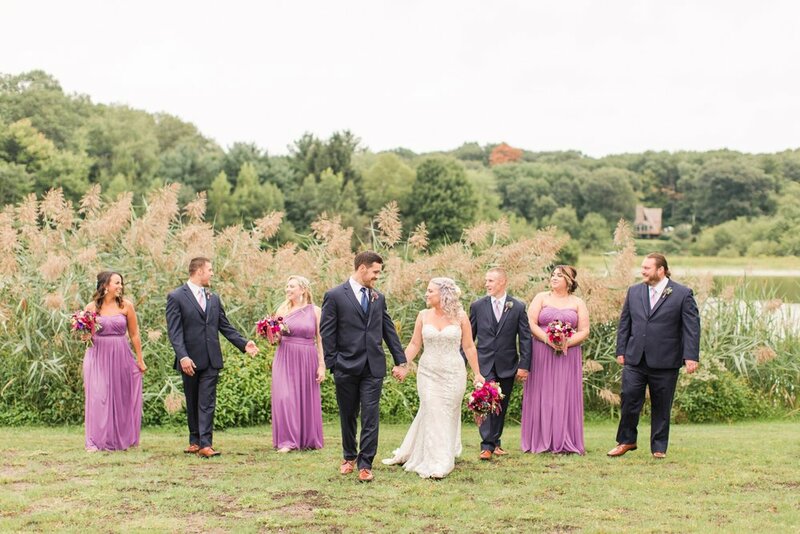 What a sweet moment with Vicki and her bridesmaids! 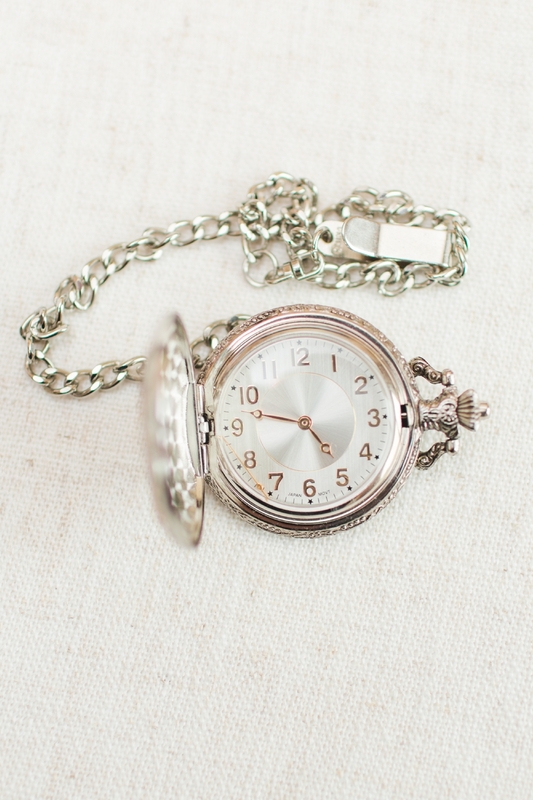 Kevin’s older brother, who has sadly passed away, served in the Marines and owned this pocket watch. 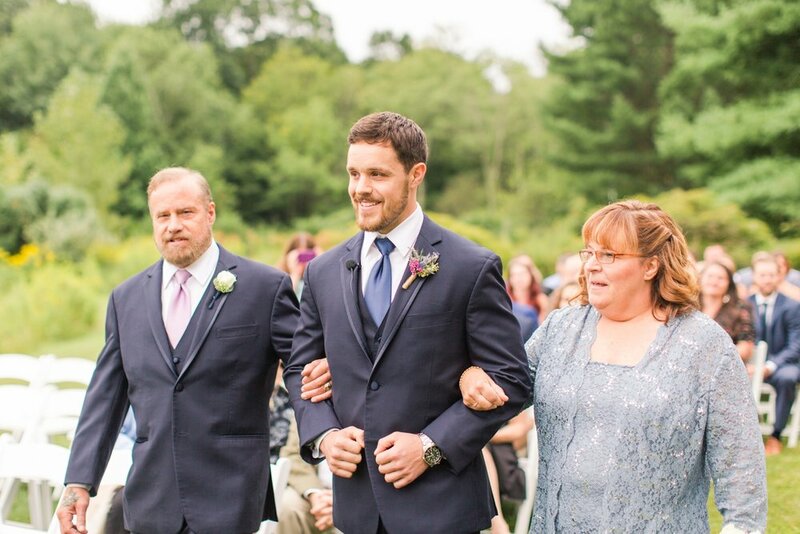 It was given to Kevin by his brothers on the morning of his wedding. 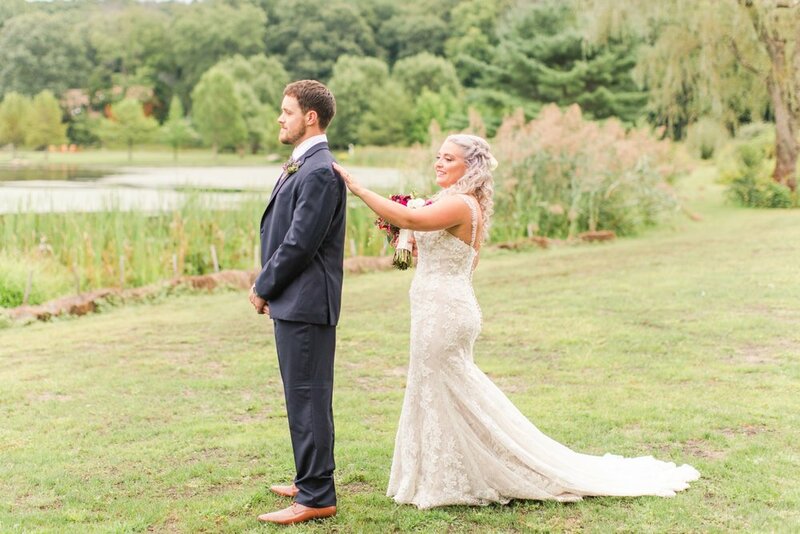 We love watching couples’ reactions during the First Look, but Kevin’s has to be one of our all-time favorites! 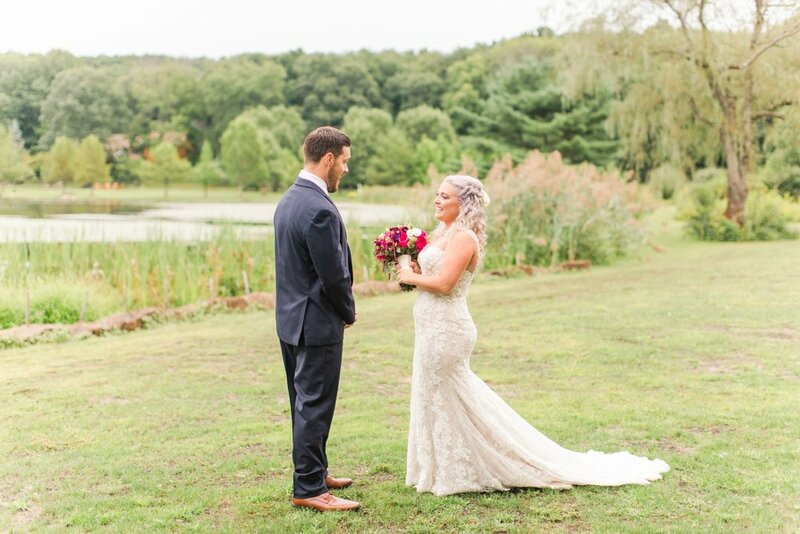 Vicki and Kevin’s wedding day was a prime example of how the colors in photos can still have so much pop, even during cloudy and rainy weather! Look at those fantastic pops of color! 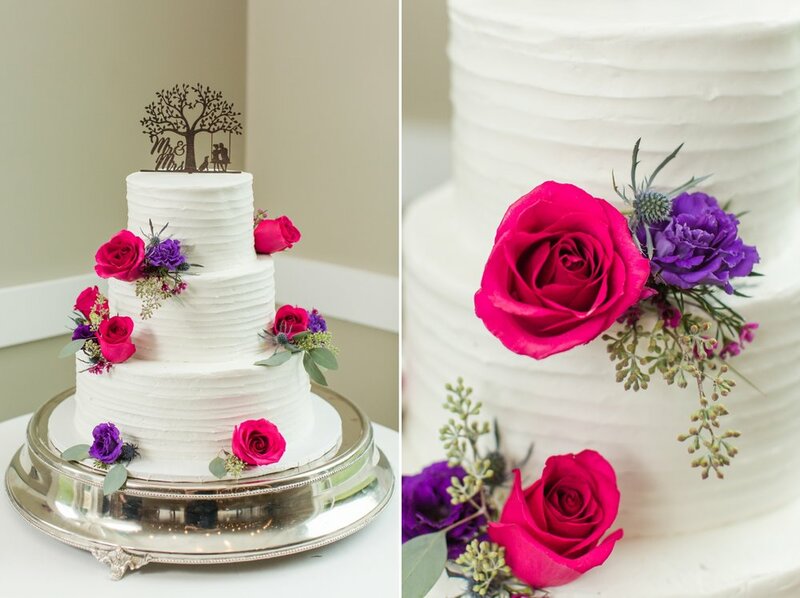 Kevin and Vicki did a beautiful job creating a unique and fun fall color palette! 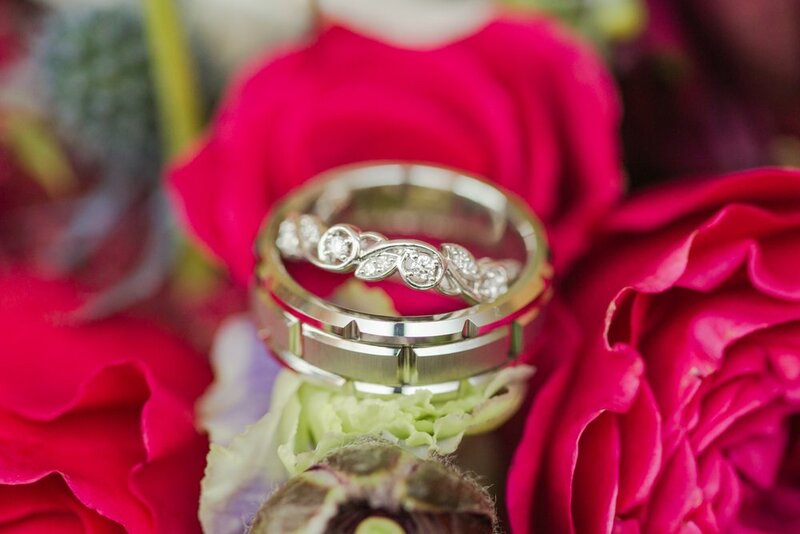 How gorgeous are these bouquets?! 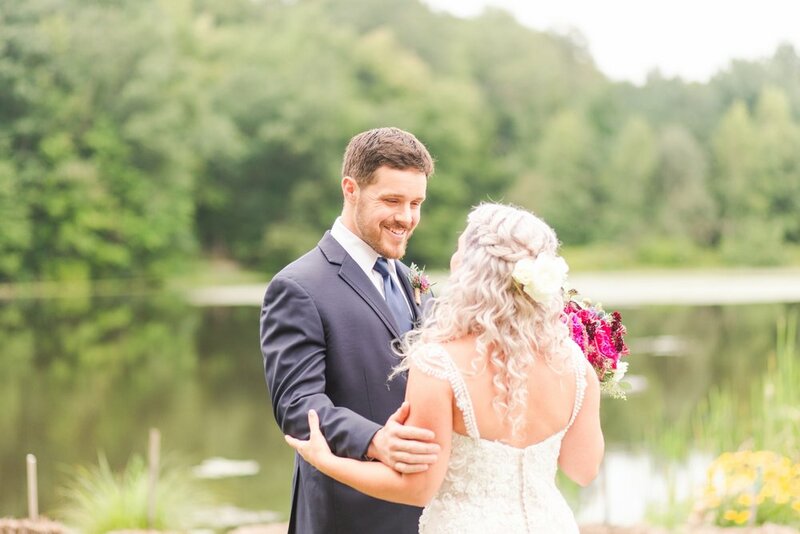 This was one of the sweetest moments of the ceremony that Arturo captured; Kevin and Vicki had just exchanged their vows, some of the sweetest words everyone in attendance had ever heard! There’s no better way to end a first dance! 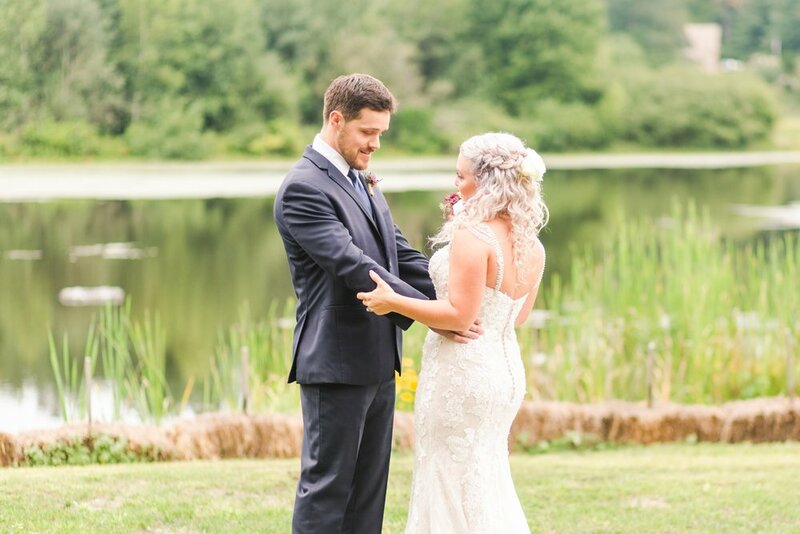 I hope you enjoyed this wedding at The Lake House! Do you know Vicki and Kevin? 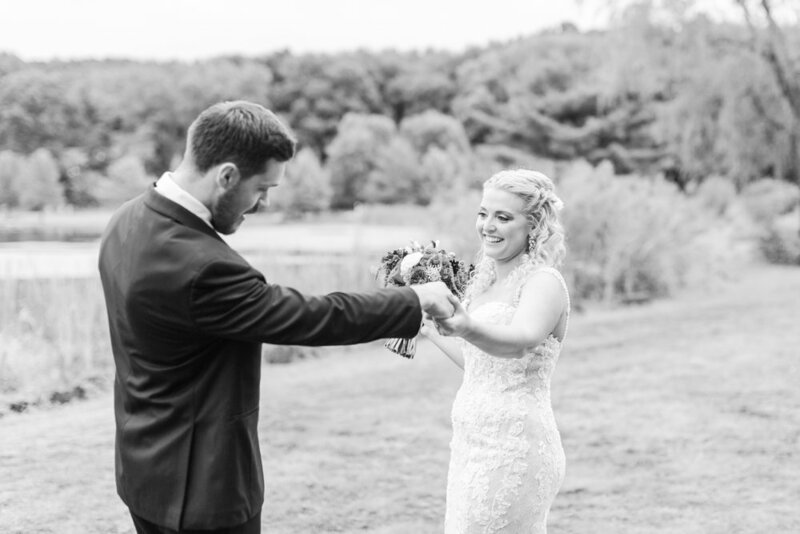 Show the newlyweds some love by commenting below!